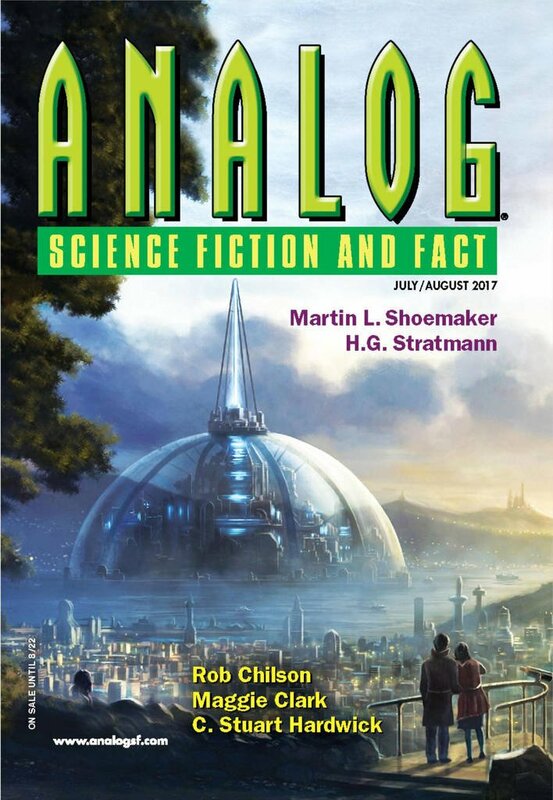 "Across the Steaming Sea," by Rob Chilson [bio] (edited by Trevor Quachri), appeared in Analog Science Fiction and Fact issue 07-08|17, published on June 15, 2017 by Penny Publications. Pro: The story is set about 60 million years in our future, when humanity has divided into a dozen or more different species. 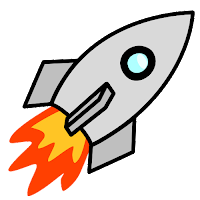 Civilization is at a relatively low ebb, but still-functioning technology beyond comprehension is still around. This makes for a fascinating setting. For the most part, this is Luro's coming-of-age story. He’s a nice guy and easy to like. Simply making money isn’t his aim; he wants to earn his father's respect. By the end of the journey, he’s gained a lot of self-confidence, he’s found a wife, and he’s ready to settle down, but what makes his journey fun is the fantastic world he travels through. It's satisfying that his father, his brothers, and the con man all get what they've got coming to them. Con: Luro accomplishes almost everything simply through talking. On the adventure, other people accomplish things while he mostly just watches. Hububba magically gives him and his friends whatever they want. He even talks the big cat into leaving them alone. It’s all a little too easy. It’s weird that everyone trusts Zoritha even though she admits to being part of Kangahan’s plan to swindle them. It’s at least a little strange that everyone just expects Luro will take his father’s place as Asireman with no muss or fuss.